To kick of Food Allergy Awareness Week, I thought we would tackle a big spring and summer challenge, birthday parties and barbecue potlucks. 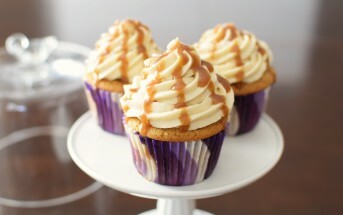 These versatile gluten-free vanilla cupcakes are free of the top eight allergens, and yes, they are even vegan! This recipe was created by Sarah Bakes Gluten Free and shared with us by So Delicious Dairy Free for an everyone-friendly treat. Sarah uses her own homemade gluten-free flour blend (linked in the recipe below), but you can use a store-bought gluten-free flour blend or your own favorite homemade version, as desired. Just note that Sarah does use xanthan gum in her mix, so you will want to use a mix with xanthan or guar gum already in it, or add some as a separate ingredient (about 1 teaspoon in this recipe to equate her flour blend) to get similar results. Also, I recommend picking a rice flour, brown rice flour, or sorghum flour blend with starches to yield the most dessert-like results. 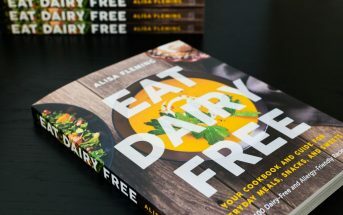 By ingredients, this recipe is dairy-free / non-dairy, egg-free, gluten-free, nut-free, peanut-free, soy-free, vegan / plant-based, vegetairan, and generally top food allergy-friendly. Have tree nut allergies and concerned about coconut? See this post: Are Coconut-Based Dairy Alternatives Safe for Nut Allergies? Preheat your oven to 350ºF. Line 14 cupcake pans with paper cupcake liners. Sift together the flour blend, baking powder, baking soda, and salt. Set aside. In large mixing bowl, stir together the coconut milk, water and vinegar. Allow to sit for 1 minute to curdle. Add the sugar, oil, and vanilla. Slowly whisk in the flour mixture. Beat for 1 minute. The batter will become smooth and start to thicken. Pour the batter into your prepared cupcake pan. 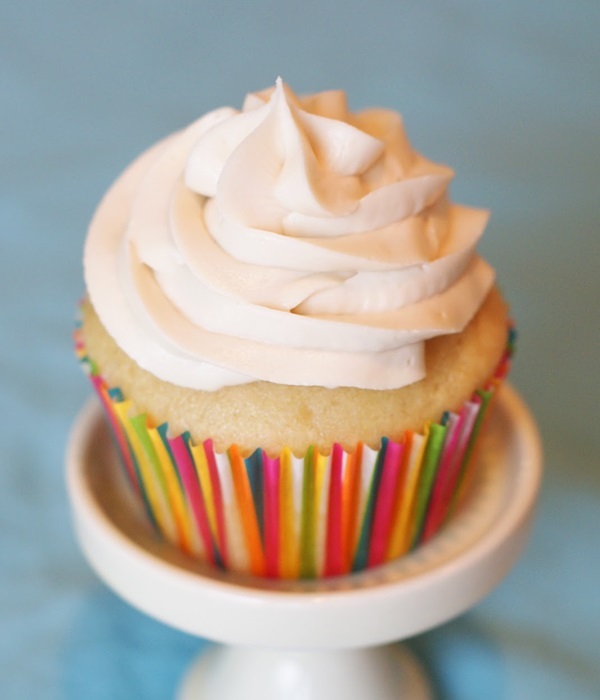 Bake for 16 to 18 minutes, or until toothpick inserted in center of cupcake comes out clean. Place cupcakes on cooling rack and cool completely. To make buttercream, beat together the margarine with the shortening for 1 minute. Add the sifted powdered sugar, 2 tablespoons coffee creamer and vanilla. Beat for an additional 2 minutes. Add another tablespoon or 2 of the coffee creamer if needed, and beat the buttercream until light and fluffy. Place in piping bag with large star tip and frost the cooled cupcakes. Best enjoyed within 1 to 2 days. For best results on texture and taste, be sure to make the lighter flour blend by replacing the 2 cups sweet white sorghum flour with white rice flour. My family loves this icing! I didn’t add any extra liquid to mine, but would have used almond milk if needed. That’s great! Thanks for the feedback Heather. Hi, what are the options for replacing sunflower seed oil? You can use your favorite baking oil. My daughter is allergic to potatoes and therefore the potato flour element in your GF flour mix will be an issue. May I ask how I can substitute? I can’t wait to try this amazing recipe! You can substitute another starch. Approximately how many cupcakes does the recipe yield? Is coconut oil ok instead of sunflower seed oil? Lastly, are silicone muffin liners ok to use? It makes 14 cupcakes – see the “serves …” in the recipe. You can use your favorite baking oil, but if using coconut oil, make sure all of your ingredients are brought to room temperature first. Cold ingredients will cause little bits of oil to solidify. Yes, you can use silicone muffin cups. Enjoy! I used this recipe to make a birthday cake for my daughter who can not eat gluten or dairy. The only substitution I made was the non-hydrogenated shortening. I couldn’t find it anywhere so I substituted it with coconut oil. Not only was the cake delicious, everyone else wanted a piece too. Marvelous! Thanks for sharing your feedback JoAnn. The cupcakes came out kind of grainy and dense. More like a muffin and didn’t really have that sweet vanilla flavor. Hi Drew, some questions for you to help – did you use Sarah’s GF blend (see the link to her homemade mix) or another one? Did you use 1 tablespoon of vanilla, or just 1 teaspoon? 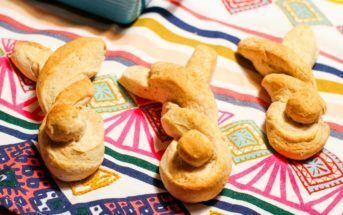 Are you baking at altitude – 3000 feet or higher? What is your favorite organic non hydrogenated shortening? I’m not getting great results when I use it. I’m using a similar recipe and the organic non hydrogenated buttercream sweats and starts melting. I’ve found that both Spectrum and Nutiva work well in frostings – Nutiva is firmer. It’s possible it’s the margarine you are using though, too. The buttery sticks tend to hold up better than buttery spread. I would like to use this to make a 2 layer small 6 inch cake. Will this recipe work and what would you recommend for baking time? Thanks!! Hi Christy, I apologize for the delay! Your comment slipped through the cracks. I would start with the original baking time and keep an eye on them. They’re done when a toothpick inserted in the center of the cakes comes out clean. I’d like to make these for my daughter’s birthday party. How long would I bake mini muffins? I would start checking them at 10 minutes Jenn. Alisa, how far in advance can you make these cupcakes? I would say just one day in advance would be best. I accidently bought the regular flavor coconut milk instead of the vanilla. Will I need to add anything or should I just follow the recipe as is? If I do need to add something, how much would it be? I tried this recipe, it tastes great but the cupcake did not hold it’s form. I used coconut floor, does that make a difference? Hi Tara, yes, coconut flour would make a huge difference. It is a very dry flour with little binding power and requires an increase in liquids if using. 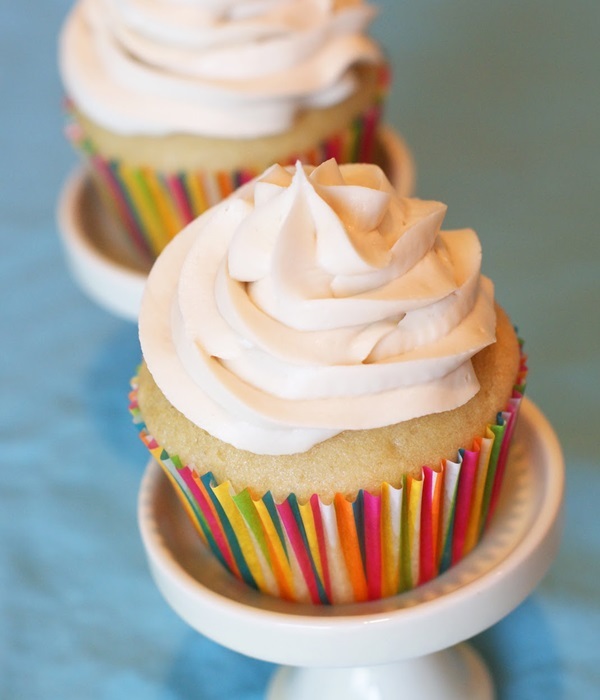 If you want to use coconut flour to make cupcakes then I recommend using a recipe that is specifically written with coconut flour. I baked these for 19 minutes and they were way undercooked. I used Red Mills gluten free flour blend with xanthan gum. Toothpick came out clean, but once these cooled, they were very gooey in the center. Unfortunately, the whole batch was inedible. Jenna, I’m so sorry Sarah’s recipe didn’t work out for you. I’ve had trouble with Bob’s Red Mill in cupcakes, too. I would recommend using Sarah’s blend in this recipe. Can you use apple cider vinegar instead of white vinegar. And will using a dairy milk instead of non dairy make a difference in texture and taste? 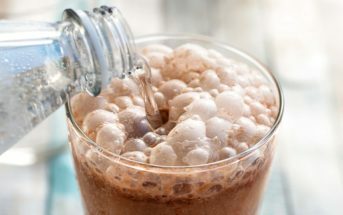 Yes, you can use apple cider vinegar and any dairy-free milk beverage should work fine. hi, what is non hydrogenic shortening and is there anything I can use to replace it? Hydrogenation is a process used by manufacturers with brands such as Crisco. Hydrogenated oils have been deemed a health issue. Non-hydrogenated shortening is available with brands such as Spectrum and Nutiva, which are also soy-free. Will this work with other milk substitutes? Yes, you can use another dairy-free milk beverage Lisa. That’s great! Thank you for sharing your feedback Katie. Katie – Just wanted to confirm – are you saying you used 1 3/4 c of only brown rice flour or did you use some combination of flours that included brown rice flour?